Next week Umzuzu's leadership will participate in Google's TeamWork meetings in San Diego. TeamWork is Google's annual gathering of Premier Sales, Services and Technology Partners. We are very excited to join top performing partners for 3 days of product immersion, networking, best practice sharing and more. I took the opportunity to come out to California a bit early to visit with family in Los Angeles. With the winter weather in the Midwest, it seemed like a good time to enjoy some of LA's famous weather. The time difference makes it pretty easy to get a good deal of work done while still enjoying some time out of the "office". Umzuzu is a server-less enterprise. 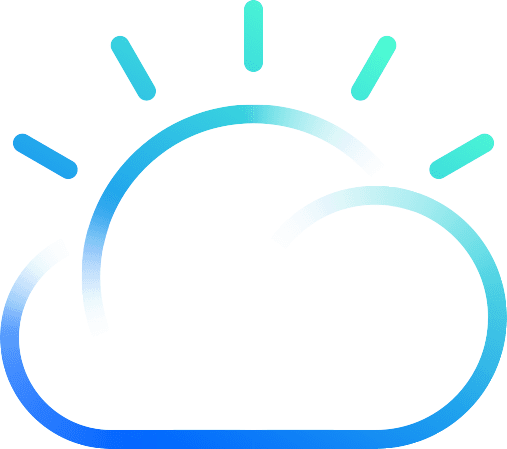 We run our entire business in the cloud. This makes working from any location a breeze. Today I'm working outside with the Hollywood sign in the distance. I'm not messing with VPNs or wishing I had access to files and applications at the office. The cloud is my office and I have it everywhere I go. Google Apps for Work forms the foundation of our business operations. Google Apps for Work gives me access to all my email, calendars, and documents from ANY computer. Just like Google's famous search engine, the Google Apps for Work suite of tools is ready to go anytime I need them. I don't have to worry about a sub par experience like I would with Outlook Web Access. Gmail's full feature set is available to me anywhere, anytime, and on any device. Get the works for Google for Work. If you live in Gmail™ and other Google apps, RingCentral for Google offers an assortment of tools to save time and increase your productivity. - Make and receive calls and business texts from Gmail with your RingCentral cloud communications system. What if someone tries to call me at my "desk"? No problem. RingCentral, our business phone system, is in the cloud too! I can still participate in departmental call routing and hunt groups. My extension can ring my softphone app on my Mac or the app on my smartphone. Today there are two great options for cloud-based business phone systems. The creators of Google Voice are back with a cloud-based phone system built for businesses. It's called Switch and it has everything that was great about Google Voice and a whole lot more! So regardless if you're "out of the office" enjoying warm weather or avoiding treacherous winter weather, your business doesn't need to skip a beat. If you're dialing in to listen to voicemails, you're doing it wrong. Our business phone system's full feature set is available to me anywhere, anytime, and on any device. In addition to Google Apps for Work and RingCentral, I have also used some other cloud computing applications today. The Google Apps Marketplace has apps for every role. Google Apps for Work is also a favorite integration point with just about every good web app around. Freshbooks is our cloud-based invoicing, accounting and billing software. Did you know FreshBooks customers spend less time on paperwork, freeing up 2 days per month to focus on the work they love. What would you do with that extra time? The cloud isn't new anymore. Gmail is 10 years old. Google Docs and Sheets have been around for 8 years. Google's security is some of the very best in the world. RingCentral was founded in 1999. Smartsheet was released in 2006. There are countless businesses of all types and sizes getting more done faster with the cloud. If you're not on the cloud, you're paying too much and getting too little. If you're ready, we can have you in the cloud in no time. Drop us a line.